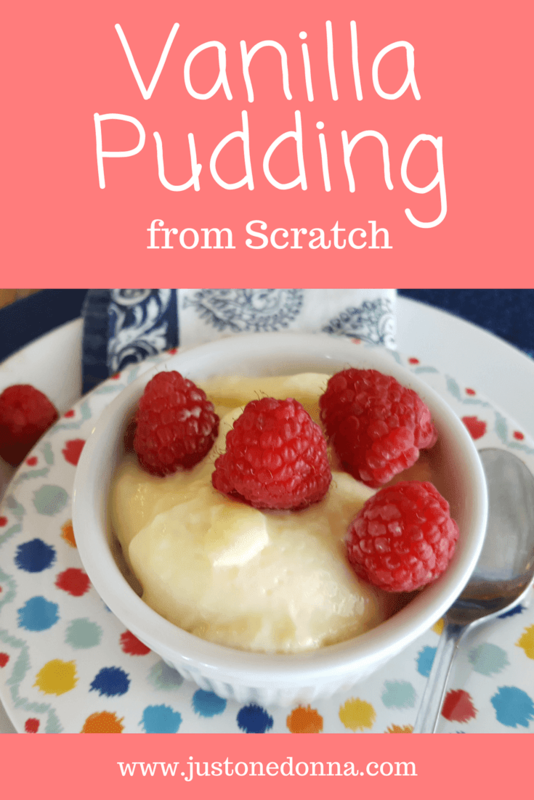 You might think that making pudding from scratch is hard. I'm happy to report that making pudding from scratch is anything but hard. With just a few simple ingredients, you can have a delicious, versatile, homemade dessert. Vanilla is my favorite flavor of pudding. It is perfection in its simplicity. 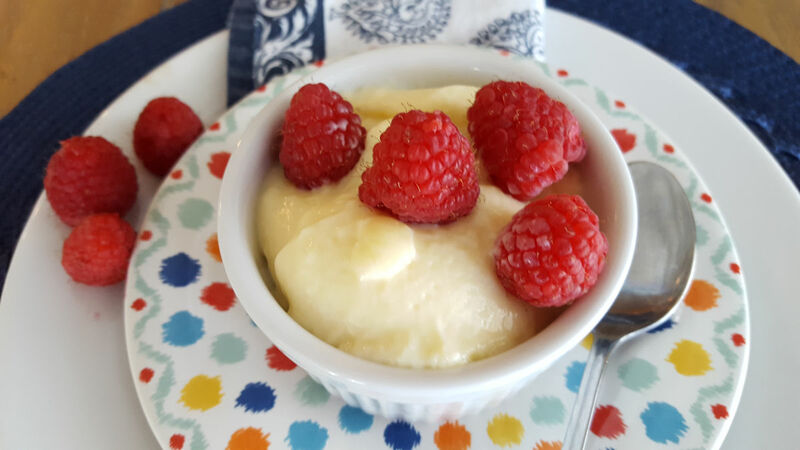 You might want to use a vanilla bean to enhance the vanilla flavor, but you can make a delicious vanilla pudding with a good vanilla extract. That's what we'll do with today's recipe. 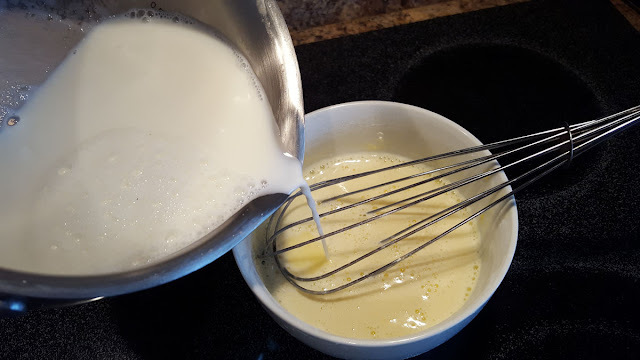 I like to make my pudding with whole milk but you can use low-fat milk, half and half, heavy cream, or some combination of them. I suggest you start with whole milk and go from there when you want to experiment. I use eggs in my pudding recipe. That means you are going to temper the eggs with warm milk as one of the steps in the process. Don't let it scare you if you've never done it before. Tempering means you mix a little of the hot milk with the egg mixture to slowly warm the mixture so the eggs don't scramble. It's very easy and not scary at all. It will take you less than twenty minutes to make homemade pudding. You do need to chill the pudding to allow it to thicken before serving. That means you will want to make it early in the day or a day ahead of when you plan to serve it. Garnish your pudding any way you like. I love fresh, seasonal berries. They look beautiful and complement the sweet pudding perfectly. Freshly made whipped cream is classic and delicious. A little bit of toasted coconut sprinkled on top will look pretty and add a little crunch. The options are endless. 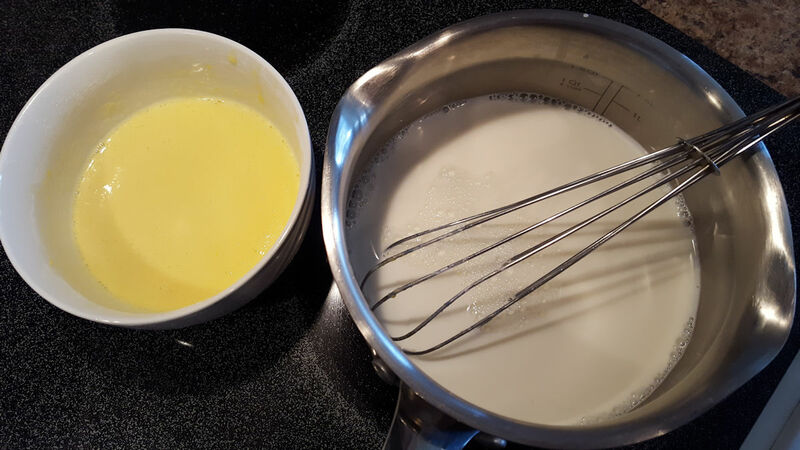 Place the egg yolks, sugar, cornstarch and 1/2 cup of milk together in a medium bowl. Mix together until well combined. Set aside. Heat 1 1/2 cups of milk in a saucepan over medium heat until it steams. Carefully pour about half of the hot milk into the egg mixture, stirring constantly with a whisk. 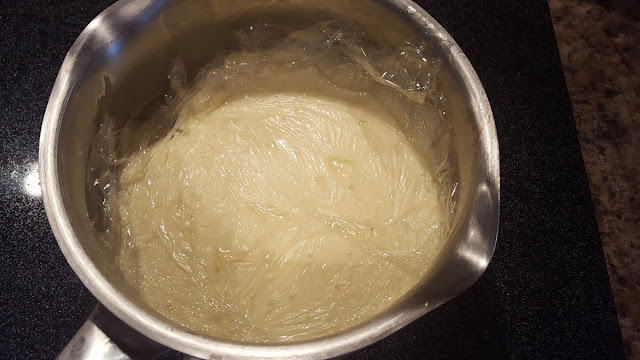 Return the pan to the heat and pour the egg mixture into the pan with the remaining milk, continuing to stir with the whisk. Keep cooking the mixture, stirring constantly, until the mixture comes to a boil. This takes about 15 minutes on my electric stove. Continue cooking and stirring for three minutes more. The pudding will have thickened nicely at this point. Remove the pudding from the heat. Stir in the butter and vanilla until well combined. Cover the pudding with plastic wrap, pushing the plastic onto the surface of the pudding to keep it from forming a skin. Remove the plastic wrap and stir the pudding before serving. Garnish as you wish. Get more great recipes on Meal Plan Monday. Thank you for sharing this post on Facebook, Pinterest, Twitter, and Yummly.